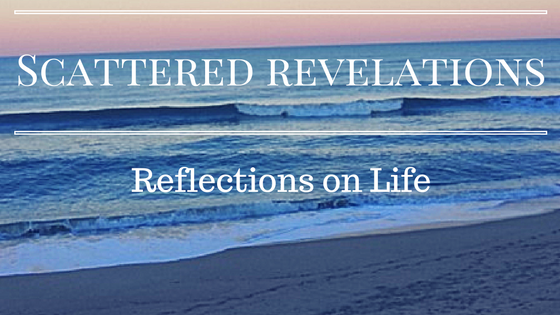 Scattered Revelations: An Encounter with Martin Luther King Jr. This was the story for all ages I shared this past Sunday, Nov. 27 in a service called Gratitude and Giving Back. This summer my family and I traveled to Atlanta and while we were there we went to the King Center. The King Center includes the Ebenezer Baptist Church and the childhood home of Martin and his siblings. The house is a 2-story house in a neighbor that was all African-American. It included families that were middle-class like the King family and families that were working class. It is the home that Martin Luther King’s grandparents lived in and raised their children. Martin, his sister and brother were all born in this home. Martin’s grandmother lived with them. As you tour the home you realize that Martin Luther King Jr. was not some superhuman person. He, just like each of us he had gifts and failings. He and his brother used to terrorize their sister and they destroyed all her dolls. Martin would hide out when it was his turn to the do the dishes – he didn’t think boys should have to do the dishes. Yet what also struck me was the daily practices in the King family. At a time when children were to be “seen and not heard,” in the King family you were to come to the dinner table with 2 things. One was you were to have memorized a Bible verse that you could recite at the table. The second is that each child was expected to have read the news and know something about current events. Over dinner, the family would talk about current events and the children were expected to be part of the conversation. Martin Luther King Jr. had much to be grateful for - a loving family, a roof over his head and food on the table. He had a family that expected him and his brother and sister to be full participants in family meals. At each meal they gave thanks for their blessings, and then each member of that family, not just Martin, lived in service to the world. Out of their blessings, they gave of themselves in service – striving to make things better for others. Going through the house, hearing stories about Martin Luther King Jr.’s family gave me a deeper sense of appreciation of this man who gave so much to all of us. He, failings and all, is an example of a life lived in service to others, sustained by a deep faith and the love of family. He had a deep sense of gratitude for life and out of that, he devoted his life to serving others.